Amal Clooney has put new husband George on a curfew, according to reports. The Ides of March actor married the human rights lawyer in September. And it seems his new wife is keen to make his partying days a thing of the past by reportedly making sure he is home at a certain time. “Amal’s basically told him that when she goes to bed, he goes to bed,” a source told the US edition of OK! Magazine. The insider added that the 53-year-old’s friends had noticed that he was leaving their soiree’s earlier and earlier and it’s believed to be because his spouse likes to go to bed at the same time every night. 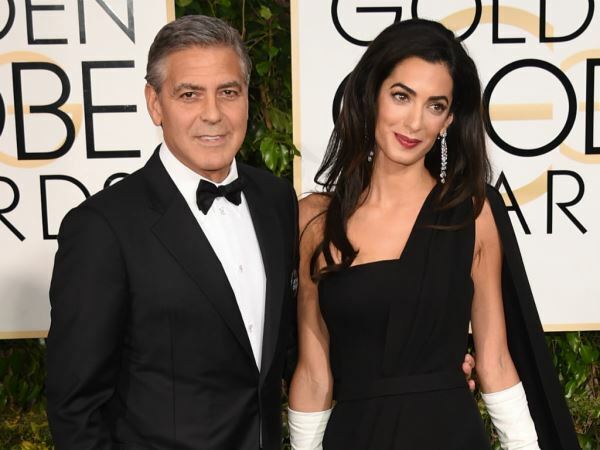 While George seems happy to accommodate Amal’s wishes, the source claims it hasn’t gone down well with his pals, “especially his poker buddies”. “He’s even started sneaking off without telling them because they make it such a nightmare for him to leave,” they added. “George is determined to be a good husband for Amal,” they continued. The pair might also be enjoying early nights as it was previously reported that they are keen to start a family.